Geneva Park Hotel 3 stars is situated in Osipova street, 5 in Primorsky district of Odessa just in 1.2 km from centre. 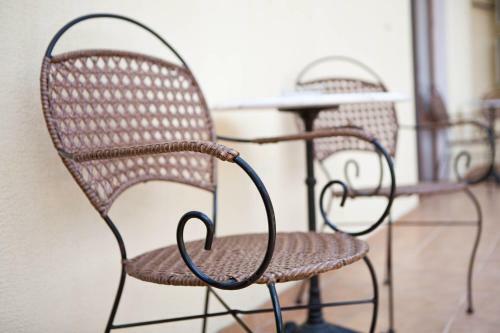 Hotel is within striking distance of Privoz Market, Odessa City Garden, Primorsky Boulevard. It is absolutely appropriate for family, city trip getaway. The closest Odessa International Airport is in 7.7 km from the hotel. You can take advantage of the following services: meal may be served in the room, convenient airport transfer, meeting venues, high speed free WiFi, best honeymoon rooms, car lot, bicycle rental(additional charge). Elegant room with a minibar, flat-screen TV, and private bathroom providing complimentary toiletries. Elegant room with a minibar, flat-screen TV, and private bathroom providing complimentary toiletries. More spacious than the Business Double Room. Please note that the price for this room is based on 2 persons. Maximum capacity is 3 (see Hotel Policies). Children and Extra Bed Policy All children are welcome. All children under 5 years stay free of charge when using existing beds. All children under 2 years are charged UAH 100 per person per night for children's cots/cribs. All older children or adults are charged UAH 150 per person per night for extra beds. The maximum number of extra beds/children's cots permitted in a room is 2. The bathroom isn't very clean, the shower is broken, the chair is dirty with unknown spots. Very neat, clean and spacious room. The stuff was really friendly and helpful. We were allowed to check in two hours before official check-in time free of charge. Breakfast was kind of good. Staff was friendly. Room style liked as well.